Russia and Egypt might soon drop the US dollar as a currency in bilateral trade and switch to their national currencies in the settlement of accounts, Russian President Vladimir Putin said in an interview with the Egyptian daily newspaper Al-Ahram ahead of his Monday visit to the country. MOSCOW (Sputnik) — It is "quite natural" that business circles in both Russia and Egypt have raised the issue of the advisability of using their respective national currencies for bilateral payments, Russian President Vladimir Putin has told the Egyptian daily newspaper Al-Ahram. The President added that Russia already uses national currencies for trade with a number of CIS states, as well as China. “This practice proves its worth; we are ready to adopt it in our relations with Egypt as well. This issue is being discussed in detail by the relevant agencies of both countries,” Putin told Al-Ahram. Russia has recently been making an effort to switch to the use of national currencies in mutual payments with several countries including China, India, Thailand and Turkey. In December 2014, China and Russia launched swaps and forwards between the Yuan and the Rouble. The benefits of mutual payments in national currencies include the absence of charges for the conversion of currencies, direct payments and higher transparency between banks. "This issue is really being actively discussed, primarily because the tourist season will begin in Egypt soon. 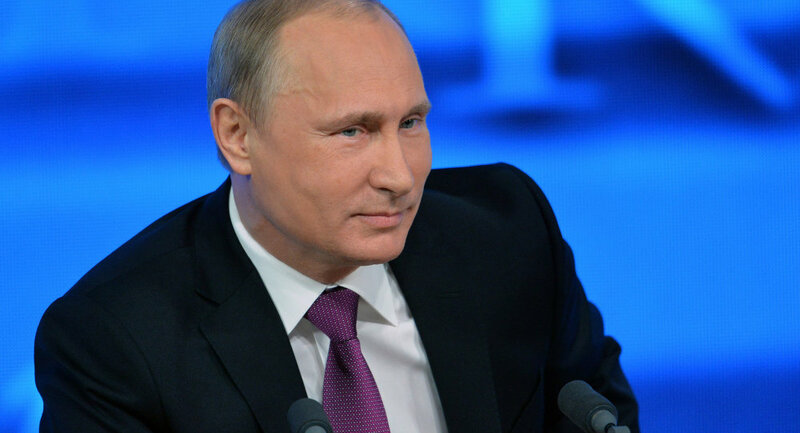 Evidently, the settlement of accounts in national currencies will contribute to creating more favorable conditions for millions of Russian citizens who spend their holidays annually in your country," Putin said. Relations between Egypt and Russia are developing rapidly, in fields including trade, nuclear energy, space, tourism and agriculture, the Russian President summed up. "Russian-Egyptian relations are developing rapidly. The volume of bilateral trade has increased significantly over the past years: in 2014, it increased by almost half compared to the previous year and amounted to more than $4.5 billion," the Russian President said, adding that there is potential to achieve even more impressive results. According to Putin, Russia provides about 40 percent of the grain consumed in Egypt. In turn, Cairo exports large amounts of fruit and vegetables to Moscow. Russia considers prospects in nuclear energy, the use of outer space and sharing of Russia's GLONASS satellite navigation system with Egypt "promising," according to the Russian President. Numerous Egyptian enterprises, including those in the fuel and energy sector, as well as the chemical and automotive industries, are interested in the Egyptian market. The Russian President highlighted the popularity of Egypt with Russian tourists; more than 3 million Russians visited the country last year. Egypt views Russia as a reliable partner against a backdrop of cooling relations with the United States after the deposal of former President Mohamed Morsi. Against the backdrop of sanctions imposed on Russia by the West over the events in Ukraine, Moscow's cooperation with Cairo is also seen as promising. The Russian President is set to make an official visit to Egypt on February 9-10.